Ruger recently announced the addition of the Ruger Custom Shop which represents the culimination of almost 70 years of innovation, quality and experience gained manufacturing rugged, reliable firearms. While Ruger products have long been recognized for their quality and innovative features, these latest offerings embody the pinnacle of style, performance and design. Custom Shop products offer a level of refinement and attention to detail that could only be expected from an industry leader like Ruger. 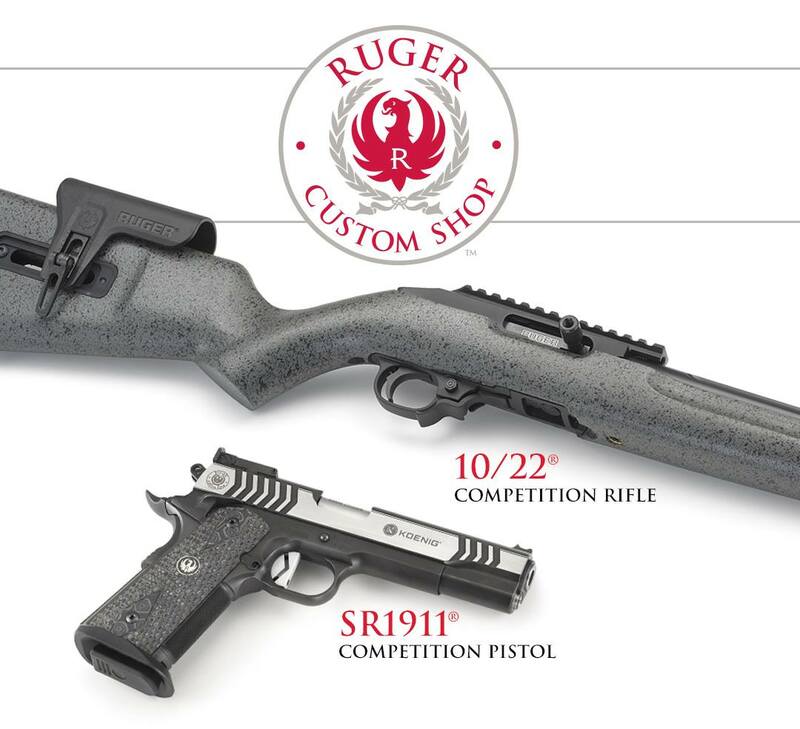 Whether you are an advanced shooter or hunter demanding the most from your shooting experience or an avid collector looking for that next special piece, the Ruger Custom Shop is sure to have something of interest. 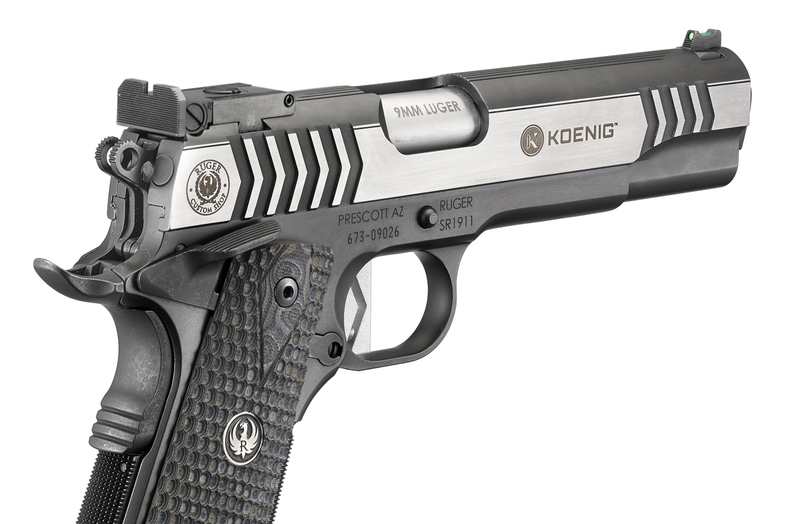 The Ruger Custom Shop has worked closely with professional shooting team captain and world champion competitive shooter, Doug Koenig, to develop the first Custom Shop SR1911. This full-sized 9mm pistol is the ideal SR1911 for competitive shooting in IDPA, IPSC, USPSA, Bianchi Cup, Pro Am Shooting and Steel Challenge disciplines. This pistol leaves nothing to chance, featuring the precision-machined Koenig Shooting Sports low-mass hammer and competition sear. When combined with the custom flat-faced trigger shoe, precision-machined disconnector and hand-tuned sear spring, you can expect a match-grade, crisp and clean break with every trigger pull. The hand-fitted slide and frame provide a remarkably tight, yet smooth, action. The Ruger Custom Shop’s uncompromising attention to fine details ensures a world-class level of performance suitable for the most demanding competitors and shooters. 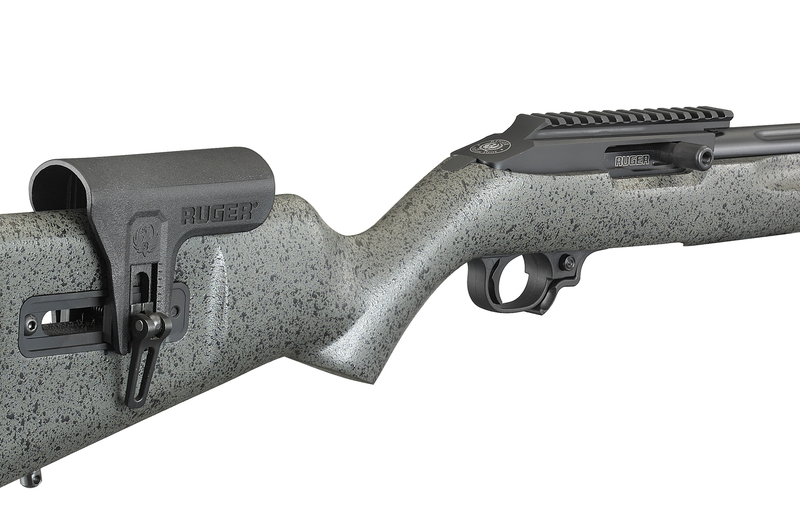 The 10/22 Competition Rifle features a hard-coat anodized, CNC-machined, heat treated and stress relieved 6061-T6511 aluminum receiver with an integral, optics-ready, 30 MOA picatinny rail. The custom receiver is paired with a 4140, heat treated and nitrided, match CNC-machined bolt to create a tight-fitting, smooth action that will enable the highest level of performance. The receiver incorporates a second bedding lug, ensuring it is securely bedded to the stock. This rifle also features an exclusive second barrel locator to provide a free-floating barrel for superior accuracy. The receiver incorporates a rear cleaning port, providing access to the barrel from the rear of the receiver for ease of cleaning. The receiver is secured in a painted and textured laminated stock that provides a sure-feeling, slip-free grip. The stock also features a fully adjustable cheek rest, which can be repositioned horizontally and vertically to allow the customer to create a custom-adjusted feel that is stable, comfortable and repeatable. While we were at NASGW Mark Gurney stopped by and gave us a Sneak Peek of the SR1911 Competition Pistol and 10/22 Competition Rifle.